What would you tell your colleague? Blogs are cool, and can be a way to share results to a wide audience when results are obtained, before publication! Open data science and transparency is becoming a common practice. 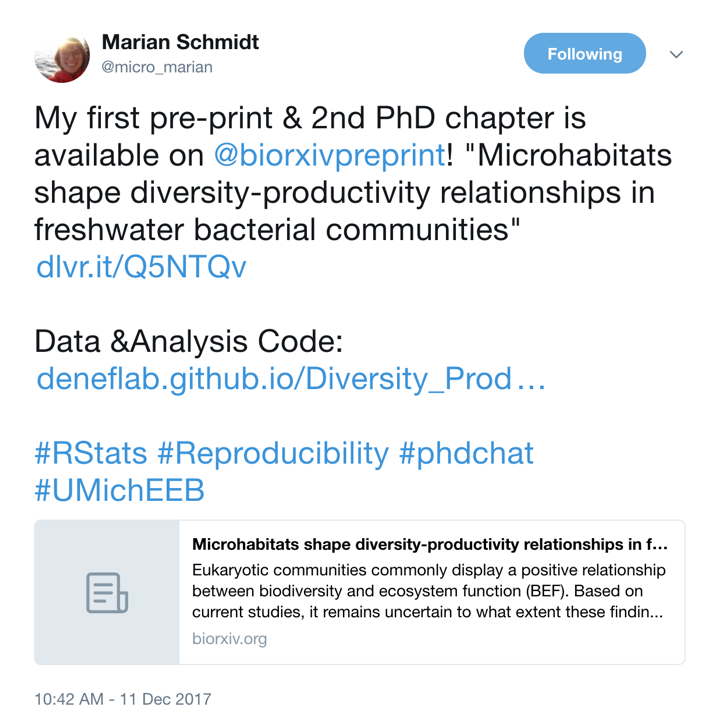 Frequently, I see colleagues sharing pre-prints and code and data before the peer-reviewed paper is released. This advances everyone’s understanding of your cool science! The SRA and the ENA along with several other international respositories, are the main worldwide archives for depositing raw NGS sequencing data. Most journals require an accession ID from one of these archives for publication. Create Bioproject: . Download the batch sample metadata template and add as much information as you can about the experimental units. Create Biosamples (eg., for popualtion genomics or transcriptomics): Download the sample metadata template and add info for each of your samples (one per biological tissue). There is a column in SRA metadata file where you identify the bioproject (add accession that you created in Step 1). Create SRA entry. associate the SRA run entries with the experimental units that you specify in bioproject. 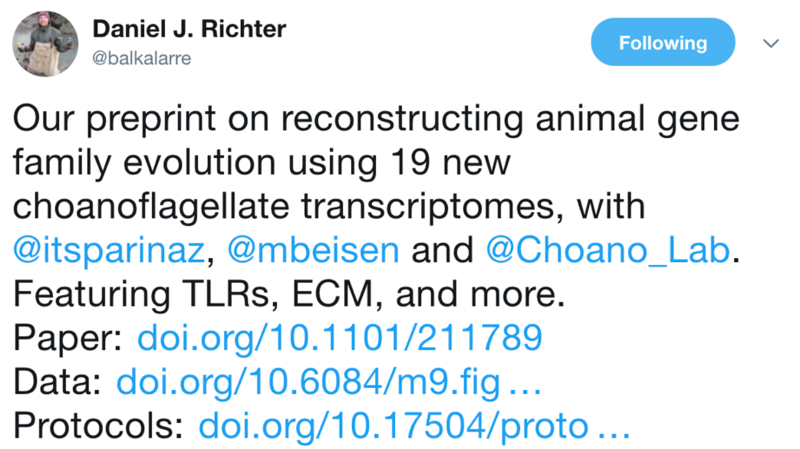 That is, for some samples you may have more than one SRA entry, because you might have sequence reads spread across more than one lane of sequencing. After this is the point where you will upload your files once you have been manually granted access. Figure out how to get theSraRunInfo.csv from SRA for a large dataset, e.g. 719 Bioexperiments in the Marine Microbial Eukaryotic Transcriptome Sequencing Project (MMETSP). Write a script to loop through the SRR id for small subset, download first 5 samples in .csv and extract using commands above. These are some options for sharing data products, such as transcriptomes, genomes and annotations. There are several public websites that are available for sharing your data products. These are just several options. You might have know of other methods for sharing data. What are those? Is data sharing a good idea? What are some of the venues where you prefer to share data with others? These are some options we have tried, some features of each and some considerations we feel are important. Requires signing up for a Figshare account. a European general purpose open-access open-data repository optimized for sharing big data. Integrated with GitHub to make code hosted in GitHub citable. Open science framework, operated by the non-profit, COS (Center for Open Science). Repositories for projects, include files and data products. Like GitHub, but only for file sharing. 5 GB/file size limit. Okay for raw fastq NGS data, although not if files are > 5GB. Now that we have uploaded our input data (i.e. the two SRA files and the dammit output), we can add our scripts on a GitHub repository so that we can have the entire process available and linked. Use git to push our code in the sh and ipynb files and the trinity.nema.fasta.dammit.gff3 files into a GitHub repository. You can use the same process as listed here. git commit -m "changed commit"
Now, turn on feature which archives GitHub code in Zenodo, get a DOI and freezes code as a snapshot in time for publication. Read about how to do this here. Read about why GitHub + Zenodo makes your life great! Using the link above, how would you connect your GitHub repository to binder? Digital Object Idntifiers (DOIs) and publication - DOI, you can cite them.